QuiltNSW Blog: Quilt Show FAQ: How do I get the photos the right size? Quilt Show FAQ: How do I get the photos the right size? 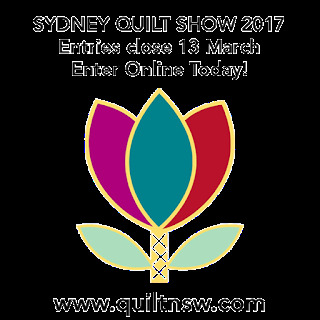 Entries for the Sydney Quilt Show 2017 close at 11.59pm on Monday 13 March 2017. That's only a week away. Please don't leave it to the last minute, jump online and submit your entry today! Please label your images correctly with your last name, first initial and entry number. For example, for two entries the images would be labelled JonesB1.jpg and JonesB2.jpg. You will need to do this on a computer not a mobile device. Here is the ONLINE ENTRY FORM. The exhibition team looks forward to receiving your entry!